Six years after establishing a presence at Cuppage Plaza, Ooi Dining (“Ooi”) upgraded to roomy new digs at nearby Holiday Inn. Since November 2012, it has been operating from its new roost sequestered away in a buried location on the first floor of the Cavenagh Road hotel. 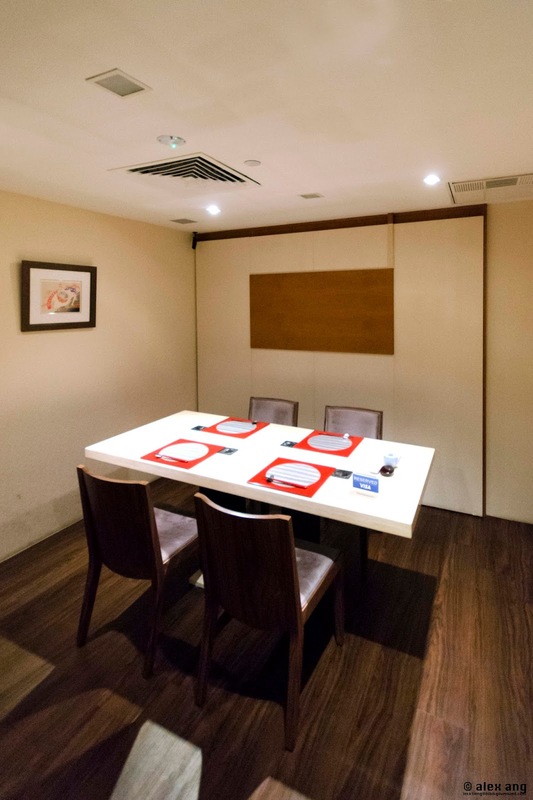 It’s a pared-down space that packs in 26 pax in 3 private rooms, a 6-seat counter and a bijou dining area. 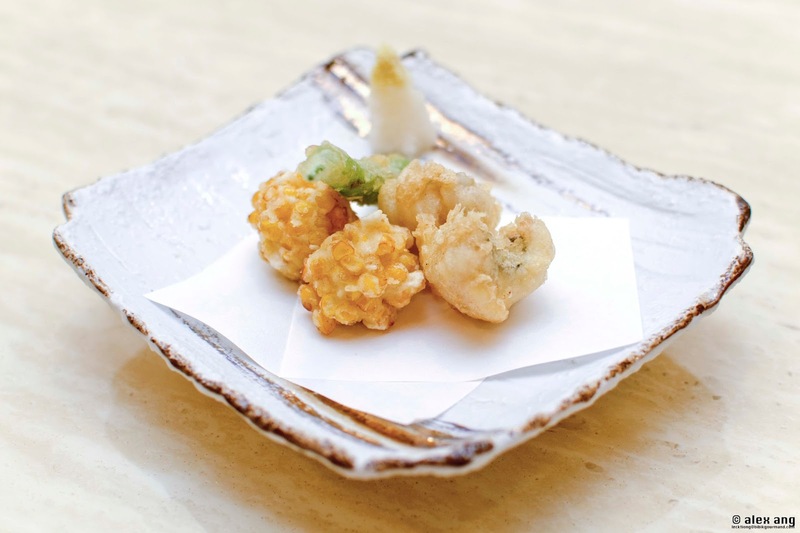 The sparse decoration saves the bells and whistles for the kaiseki-style Japanese offerings by chef-patron, Oi Koichi, and his wife, Oi Hiromi. While Hiromi-san plies the floor with a witty – if playful -savoire faire rarely seen of Japanese ladies, the low-profile Koichi-san quietly works in a kitchen that he manages almost single-handedly, preferring to let his edible works-of-art shine. 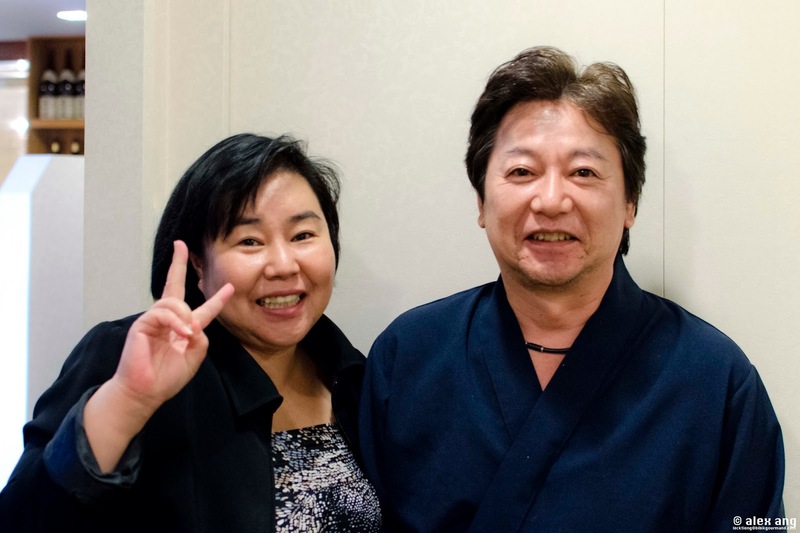 Call him a workaholic: Koichi-san gets into the kitchen by 9am to 10am daily although the eatery only opens for dinner. The Hiroshima native who comes from a family of sushi chefs has worked his way across various Japanese restaurants including Yamagen (Singapore), Keyaki (Singapore) and Kampachi (Penang) but it is at Ooi where Koichi-san unleashes his potential with meticulously-crafted zen creations, some of which you’ll be hard-pressed to find anywhere else on the island. Thanks to his sushi chef father, Koichi-san is the only Japanese chef in Singapore – and one of only a handful in Japan–who is adept at serving the shako(mantis shrimp) sashimi style (this shellfish is usually boiled and served as sushi). Ooi is also the only venue in Singapore that serves the rarely seen yonakigai sashimi, a clam from Hiroshima prized for its red-pinkish crunchy flesh that is all but 10% of the entire shellfish (the remaining 90% is usually discarded). 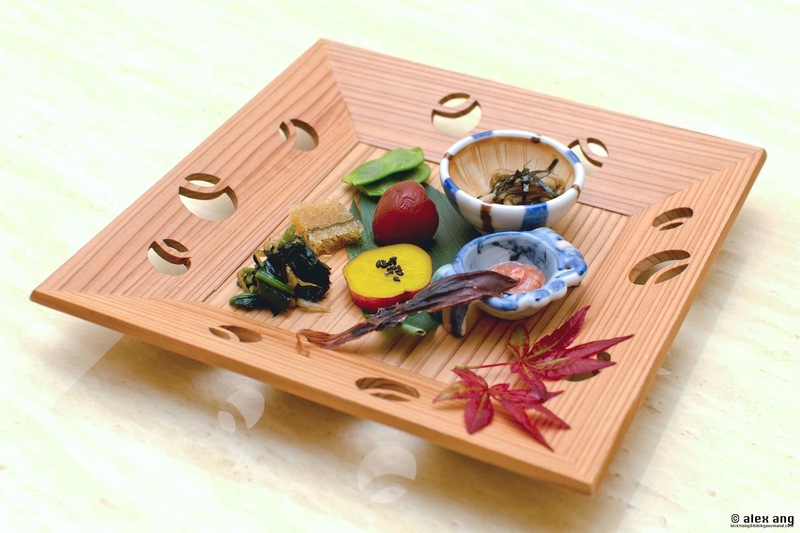 Instead of following in his father’s footsteps and opening yet another sushiya, Koichi-san takes the best that elder Oi had to offer and bundles them in his kaiseki-style courses. Inspired by his twice yearly culinary pilgrimages to Kyoto’s top ryoteis – like Kikunoi – and his hometown, Koichi-san’s creations at Ooi are centred on a smattering of rare Japanese produce augmented by a parade of exquisite dishes that embrace the profoundly savoury dashi stock. Whilst you may savour many of Koichi-san’s signature creations via the a la carte menu, nothing beats the 8 to 9-course omakase (starts from S$250) for a full spectrum of the chef’s freshest produce. To start, a zensai (appetizer) reminiscent of a simplified hassun course headlined by dashi-marinated Hokkaido herring roe with seaweed embedded, hotaruika suboshi (soya-dried firefly squid) and a petite bowl of out-of-this-world salted fermented fish gut. 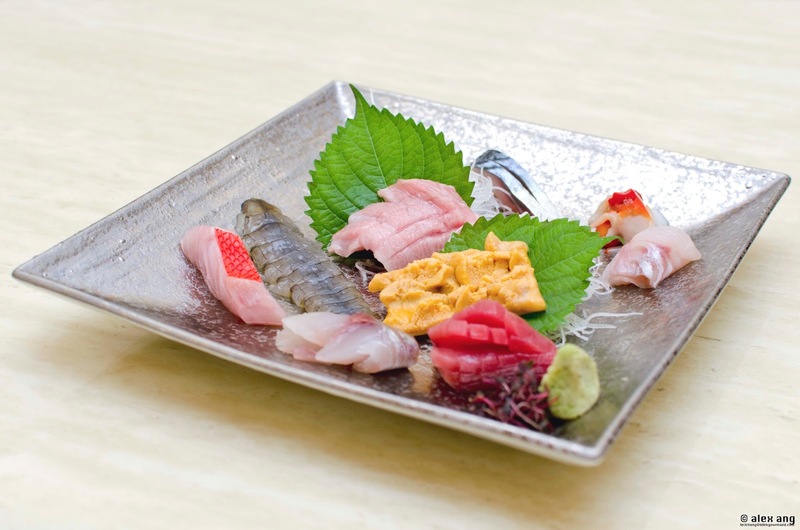 Sashimi follows, showcasing Koichi-san’s signature ultra sweet shako sashimi (8 o’clock position in the photo above) flanked by seki aji (seki horse mackerel) and seki saba (seki Spanish mackerel) – both highly prized muscled mackerel caught off Oita’s coast sought for their sweet and mellow flavours – as well as maguro (tuna), toro (fatty tuna belly), skin-on kinmedai (splendid alfonsino fish), nodoguro(blackthroat seaperch), aka uni (red sea urchin) as well as bits of yonakigai. Yamaimosomen, a highlight at Ooi, ensues. 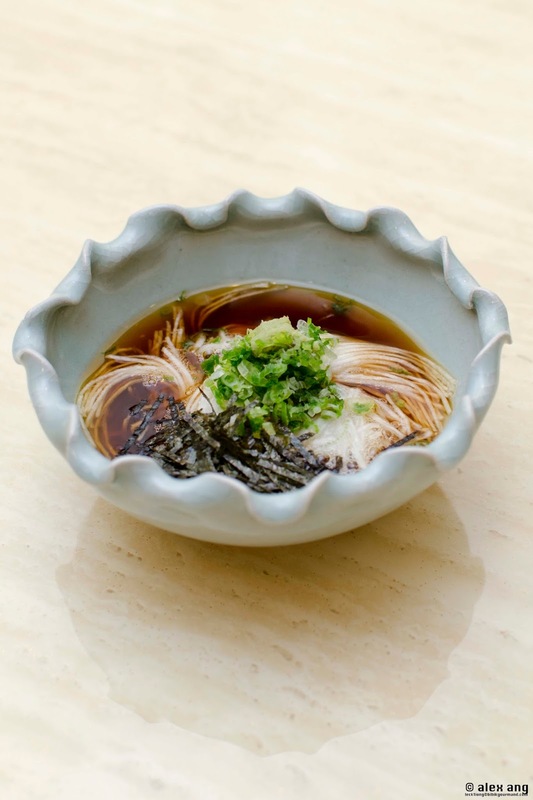 Mountain yam is cut finely until it resembles oodles of somen and served in a soya-laced dashi broth with wasabi and seaweed. It’s addictive and we shamelessly asked for seconds (available at S$8 per bowl on the a la carte). 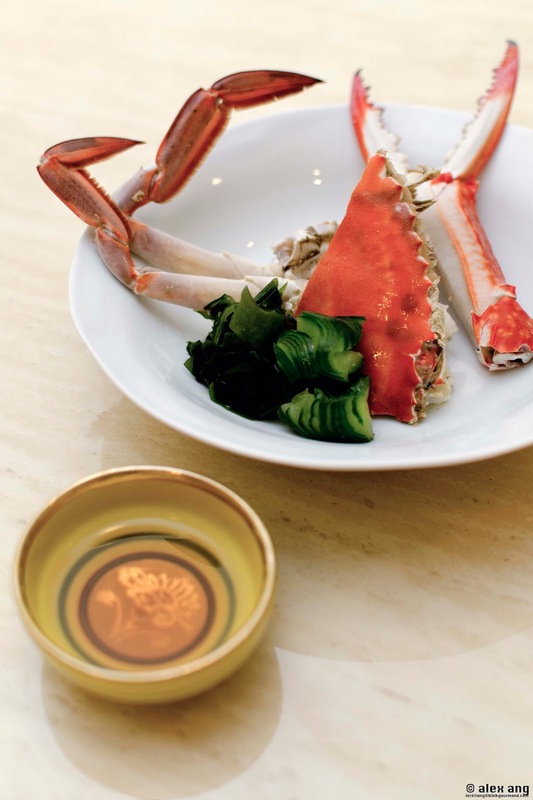 And the parade continues with steamed watarigani (Japane blue crab) alongside a vinegared dip that Koichi-san concocts. Then a fried course comprising a medley of tempura hamo (conger eel), sweet corn and togarashi (chilli) pepper. The dinner reaches a high with the grilled courses. 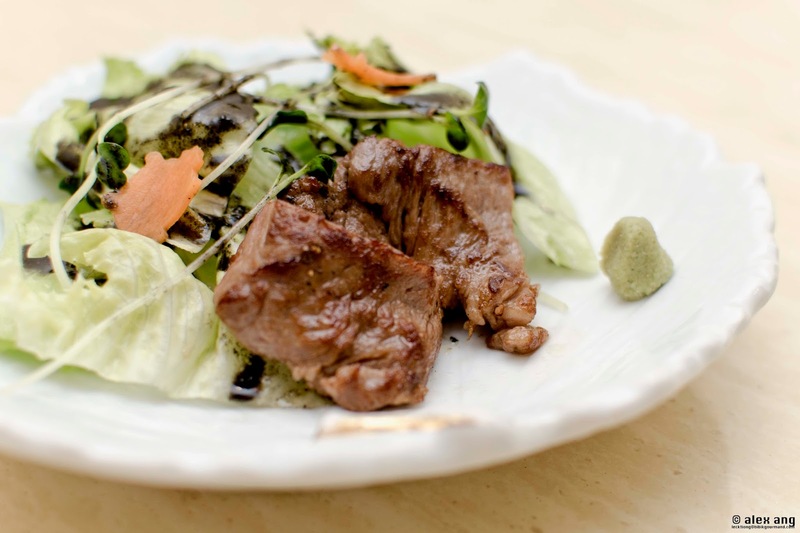 A plate of achingly tender grilled ohmi wagyu served with a dollop of wasabi alongside lettuce doused in homemade black sesame dressing. 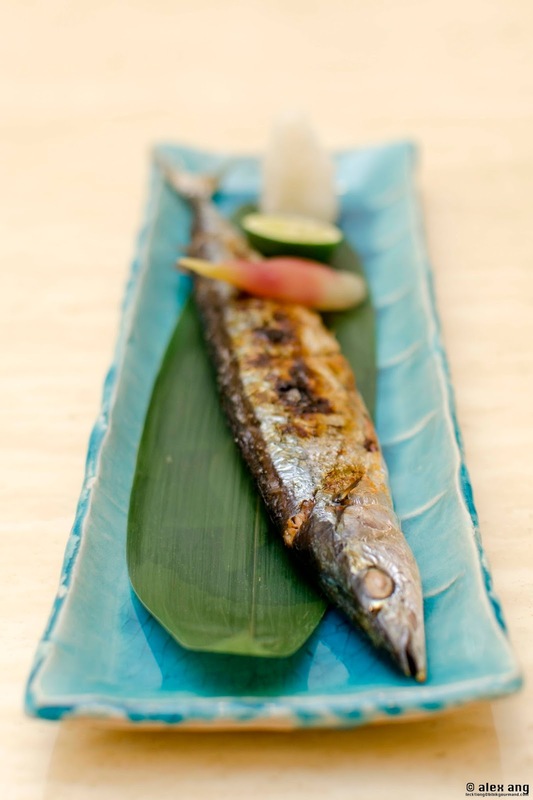 And then a grilled fish which, in autumn, showcases an in-season Pacific Saury grilled to perfection. 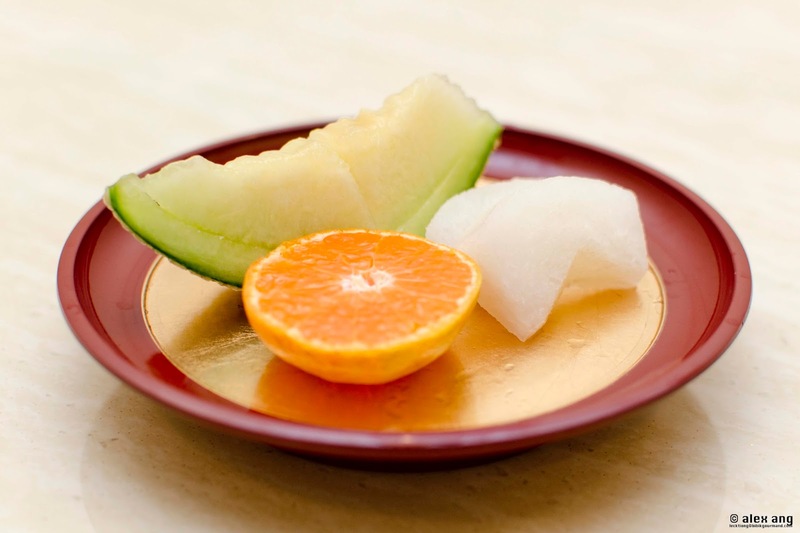 Harumi-san then appears with a block of creamy-white Kyoto toufu served unadorned. Koichi-san tested 30 different types of toufu from different parts of Japan before he decided to serve this. 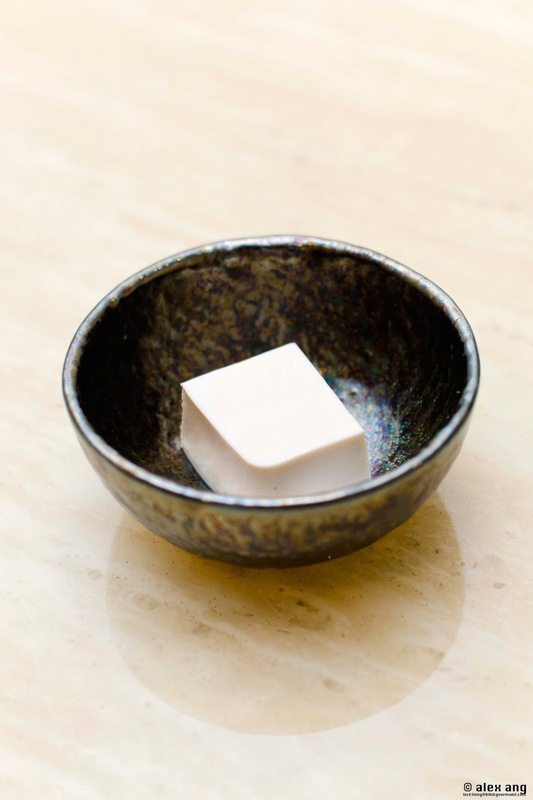 Savour the natural goodness of this unadulterated Japanese produce but the toufu tastes equally good if dipped in the bonito flake and seaweed-steeped soya sauce that Koichi-san brews in the back of house. 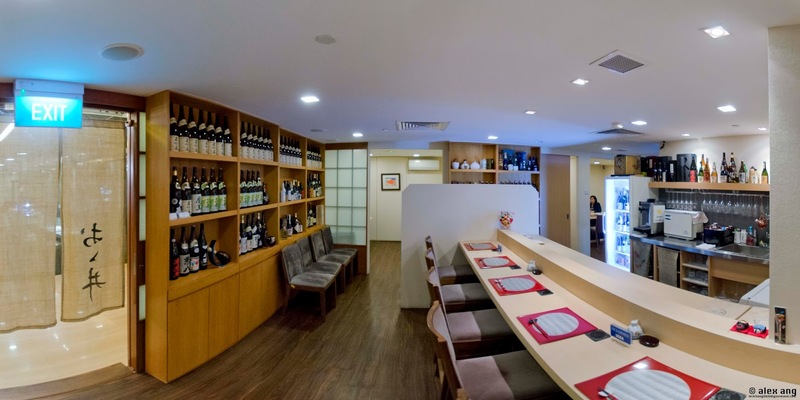 Most Japanese restaurants in Singapore – even kaiseki restaurants – serve sushi to satiate local diners’ ferocious appetite for sushi but at Ooi, Koichi-san serves maki. Admittedly it’s not as luxe as sushi. 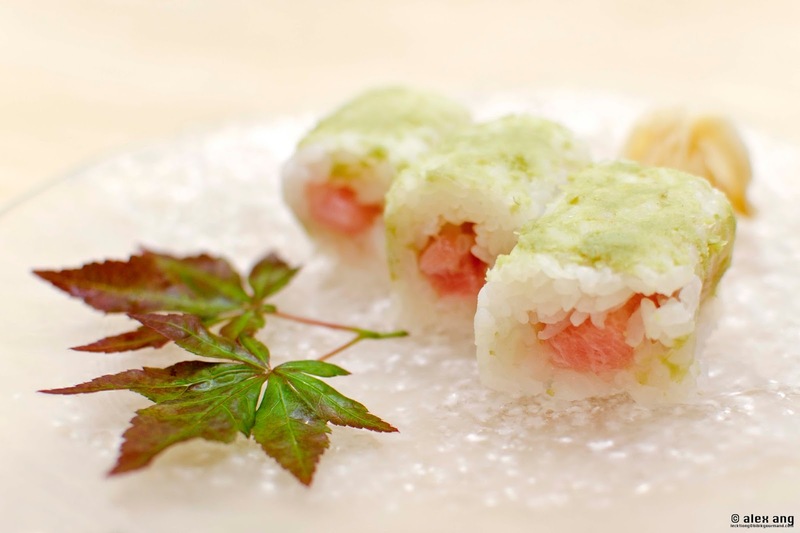 Our namida maki(teardrop maki) is said to induce teardrops from the spicy wasabi smeared on the exterior of the rice-roll wrapped with tuna. Thankfully, no tears were shed but it would have been well worth the tears. 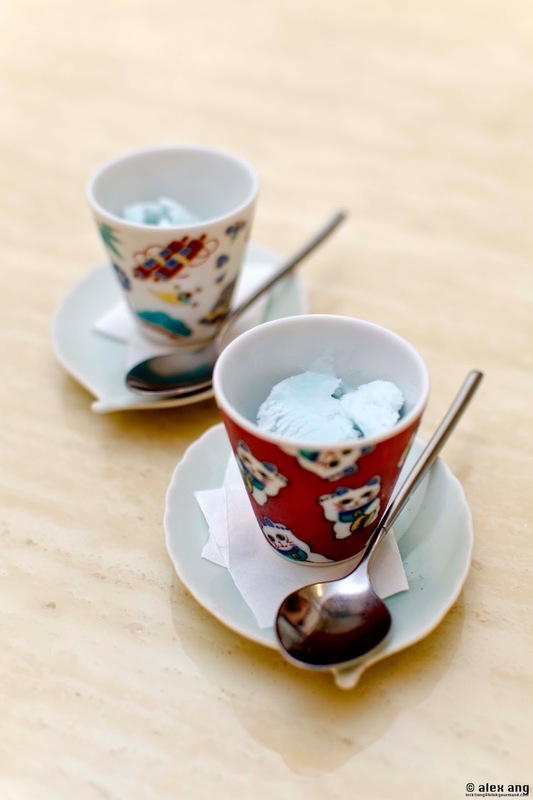 Desserts are a triumvirate of fruits followed by mittarashi dango (mochi ball with sweet soya sauce ensconced), finished with a scoop of blue-hued milky ice cream spiked with a hint of salt. They are heavenly to say the least, even if the dinner does not conclude with a bowl of frothy green tea as kaiseki dinners usually do. 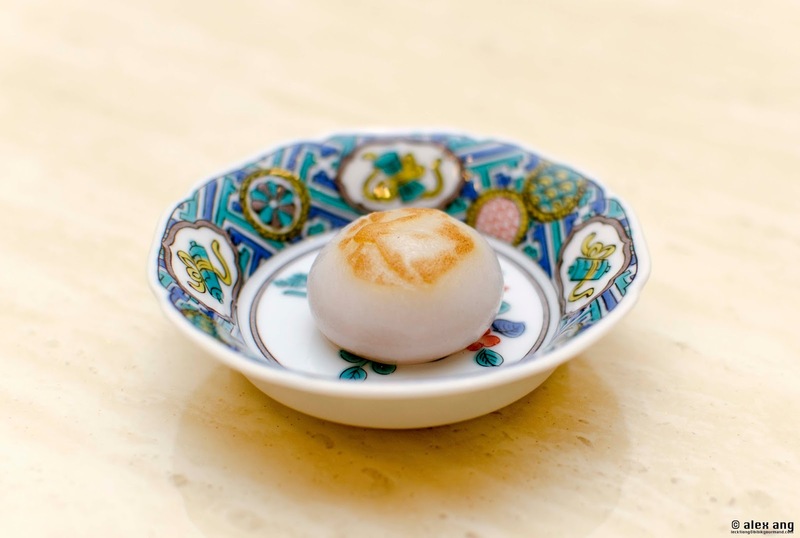 Though Ooi may not brandish the youthful aura of Singapore’s latest string of new Japanese entrants, the immaculately-crafted zen plates are irresistibly handsome. With a starting price tag of S$250, Ooi may not offer the cheapest omakase but it’s going down in my books as one of the best in town. Now, Ki-sho has good company.